All of the country's top universities would boast of offering quality education. Silliman is no different. But while it joins the ranks of prestigious Philippine universities, it is humbled by a gift of a location that bespeaks of the natural environment's complement to academic learning - one feature that sets Silliman apart from the rest. Dotted with over 300 acacia trees, the Silliman campus is uniquely embraced in between views of the Cuernos de Negros mountains in its background and the Visayan sea at its frontage. The 62-hectare campus offers patches of greens on where personal relationships are nurtured, spiritual nourishment facilitated, and the concept of quality student life redefined. Silliman University is a melting pot of cultures and religions. Of its overall population of more than 9,000, over 300 are international students from 23 different countries. Its affiliation with the United Church of Christ in the Philippines as a Protestant university has never been a hindrance to the exercise of religious freedom. Majority of Silliman students are Roman Catholics and a good number are Muslims from Mindanao. The university is located in the charming city of Dumaguete, dubbed the 'City of Gentle People,' an hour away by plane from Manila and four hours away by boat from Cebu. Silliman thrives in a city where the strip of restaurants offering good food along the boulevard and where everything a student needs is just a stone's throw away. While offering the coveted 'retirement getaway' environment, the city is not left behind by progress. You can find infrastructure developments and businesses sprouting in support of the city's "University Town" concept. Campus life revolves around the motto Via, Veritas, Vita (of Christ being the Way, the Truth, the Life). It is Silliman's mission to develop the whole person within the Christian context and in a sound environment. Students are expected to put their education to work in service to others - another mark that distinguishes Silliman from other institutions of higher learning. It is also the conducive residential campus life that sets Silliman University apart from the other leading universities in the Philippines. The 12 regular and cooperative dormitories provide a home away from home for Silliman students who come from outside Dumaguete. In the dormitories, students belong to a family, a part of the bigger Silliman community. A corollary to this sense of community is the "Silliman Spirit" - an atmosphere of personal closeness, warmth, friendship, and concern. Silliman is one of select higher education institutions in the country granted autonomous status by the Commission on Higher Education. The same government agency has also designated Silliman as a Center of Excellence in Nursing Education and Teacher Education and a Center of Development in Biology, Information Technology Education, and Accountancy. With support from the United States Agency for International Development, Silliman is a Center of Excellence in Coastal Resource Management. Its community-based coastal resource management program has inspired the recognition of Apo Island off the town of Dauin as one of the best diving spots in the world. Just like other top universities, Silliman's academic programs undergo regular evaluation by any of three accrediting agencies: Philippine Accrediting Association of Schools, Colleges and Universities, Association of Schools, Colleges and Universities-Accrediting Agency, Inc., and the Association of Theological Education in Southeast Asia. It maintains links on collaborative research and faculty and student exchange with universities in the United States and Asia, on top of strong affiliations with the United Board for Christian Higher Education in Asia (UBCHEA) and international development organizations. Its longest running student exchange programs are with three Japanese universities: International Christian University, Ferris University, and Shikoku Gakuin University. AB in English Language — cultivates insights into the general nature of language and the distinctive features of the English Language through the study of linguistic principles and theories, as well as the historical and structural developments in language with emphasis on modern English. 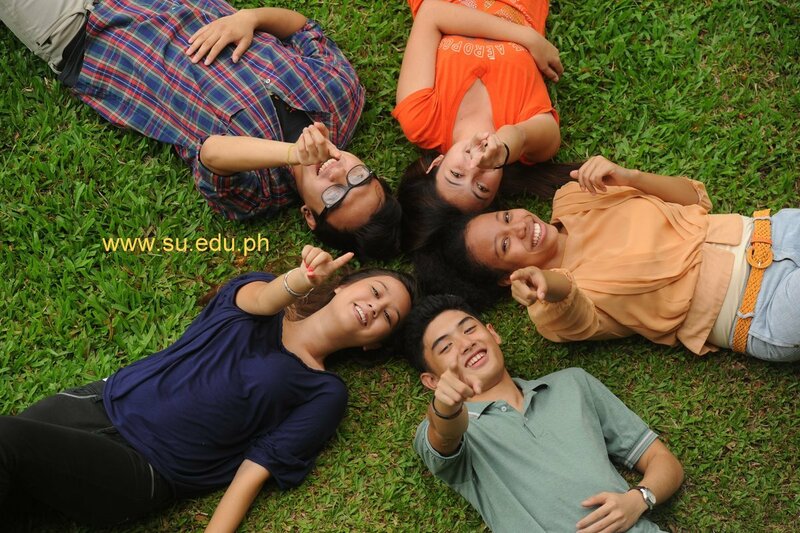 In harmony with the objectives of the College of Business Administration, the B.S. Accountancy and accounting major programs are designed to prepare the students for careers in accounting as competent practitioners, and to enhance their capacity to grow and develop into fully qualified practitioners. The programs also aim to prepare the students for the licensure examination. Technical competence, sound judgment, independence in mental attitude, honor, and integrity are strongly emphasized in developing the Christian certified public accountant. In 1999, the UFCC’s services were further expanded to include the second computer degree offering of the CBA, Bachelor of Science in Information Technology.